The Leningrad band has been honoured as “Musicians of the Year” at the annual GQ magazine’s awards ceremony “Man of the Year”! Andy Fiord Photo & Film Production team celebrated the success of the group on the shooting stage in St. Petersburg. 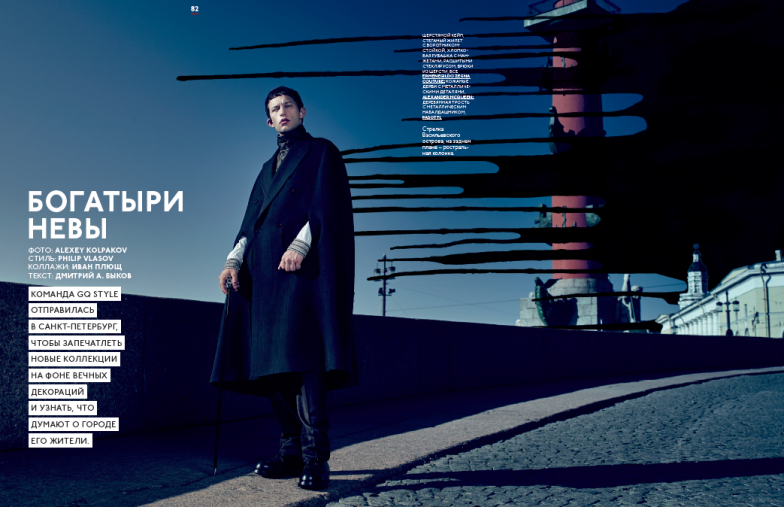 Actor Yuri Kolokolnikov became one of the heroes in the latest issue of GQ Russia (September, 2014). The shooting was produced in cooperation with Andy Fiord Photo & Film Production team. Goalkeeper Yuri Lodigin in the new shooting for GQ Russia produced by Andy Fiord Photo & Film Production team.